Energy Fuels Inc. (EFR:TSX; UUUU:NYSE.American) announced in a news release it is now producing a 99.6% vanadium pentoxide (V2O5), the highest purity ever in the history of the White Mesa mill in Utah—and it is doing so at commercial rates, using new, innovative techniques. 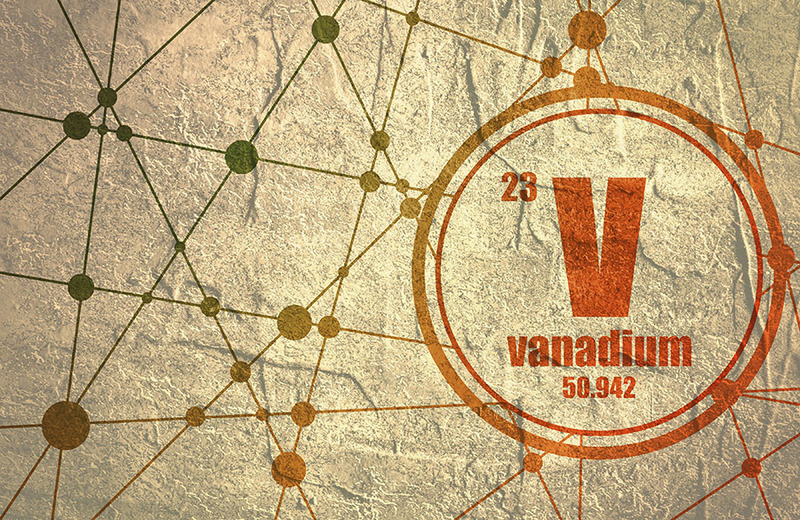 “The company has successfully implemented this efficient, low-cost method of producing vanadium at the mill with little capital exposure,” the release noted. Energy Fuels is recovering about 150,000–160,000 pounds (150–160 Klb) of V2O5 per month. This could increase to about 220–225 Klb during the warmer months, then drop back down when it becomes cold again. Accounting for seasonal impacts, average production is estimated to be about 160–200 Klb per month on an annualized basis, all of it achieved without having to mine any ore.